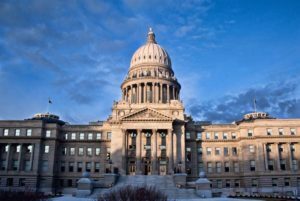 Idaho’s Governor Brad Little will sign a Proclamation recognizing Wednesday, February 20, 2019 as “Registered Dietitian Nutritionist Contribution to Health Awareness Day” in Idaho. The signing will take place in the Governor’s Office at 10:00 AM. We invite all RDNS and students/interns to join us for the signing. We will meet in the hallway outside the Governor’s Office before the signing at 9:45 AM. Governor Little’s Office and Ceremonial Suite is on the 2nd Floor, West Wing. We expect the signing to be in Room W209. This event and Proclamation is a joint activity sponsored by the Idaho Academy of Nutrition and Dietetics, Treasure Valley Dietitians, and Magic Valley Dietitians. Thank you to the Idaho Academy Public Policy Coordinator, Mimi Cunningham; Idaho Academy President, Sarah Renaldi; Idaho Academy President-elect, Ryan Vance; Idaho Academy State Policy Representative, Megan Johnson; and Treasure Valley Dietitians Chair, Donna Dolan, for their contributions to this event. See you there. Bring you colleagues. Join us downtown for a short networking event after the signing – location to be determined.